Airport is a takeoff and landing of aircraft usually bad weather has always been a hindrance for the pilots to take off and landing aircraft but in fact there are airports in the world is a pretty extreme for pilots to take off and landing of aircraft you want to know the airport any kind was see below. 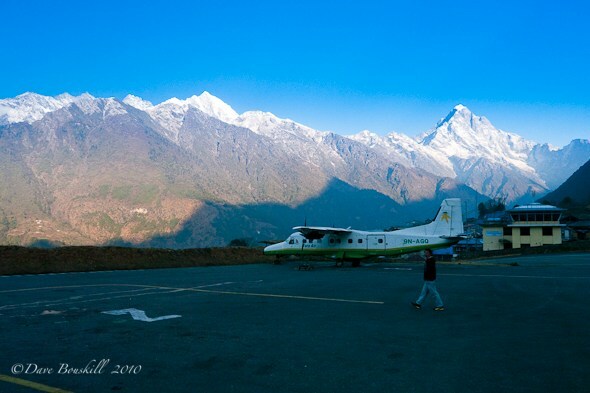 Surrounded by towering Himalayan peaks, Paro is one of the world’s most challenging airports for pilots. In fact, currently only eight pilots in the world that is certified to be landed at this airport. Situated in a deep valley, landed at this airport requires pilots to deal with a series of mountains, descending rapidly, then a steep turn to the left immediately before landing. Located in the high mountains, takeoff or landing at the end of the 2,000-foot-high Matekane need extraordinary skill of the pilot. The process will depend on wind conditions. The aircraft will be parked here advised not to fly before reaching the end of the runway at an altitude of 1,312 feet. Dubbed one of the shortest runways in the world, approximately 1,300 meters, the pilot landed in the path illustrates this more like landing on an aircraft carrier. The aircraft must fly to the cliff before making a sharp turn to the left and eventually landed smoothly. This runway is located high above the surrounding ocean, with steep cliffs on three sides. 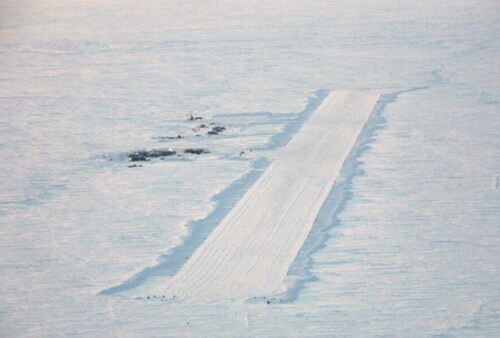 Carved in the sea ice of the Ross Island every year, along the 2.5-mile runway operates mostly in the summer in the Antarctic. Pilots should avoid too heavy landing and the aircraft must be monitored closely to ensure it does not sink more than 10 inches into the ice. Flights approaching Princess Juliana International Airport must pass through the water, rather Maho Beach, and the pilot had to make an instrument regular checks to ensure maintenance of appropriate height. Because the distance between the sea to the fuselage so close. Takeoff will force pilot banked sharply to the right and rotate to avoid the mountain at the end of the runway. This one was built to service the climber of Mount Everest. There’s flight can only be done during the day when the weather is sunny. But when the wind was strong and tends to cloudy skies, airports will be closed to all flights. Has a runway length of 460 meters and width of 20 meters, there is no reason for the pilot to make a mistake when taking off or landing. Because the slope of the runway experience at the tip and directly toward the valley. Since 1973 to 2010 there has been a nine-plane crash at the airport. Funchal is known as one of the most dangerous airports in the world. 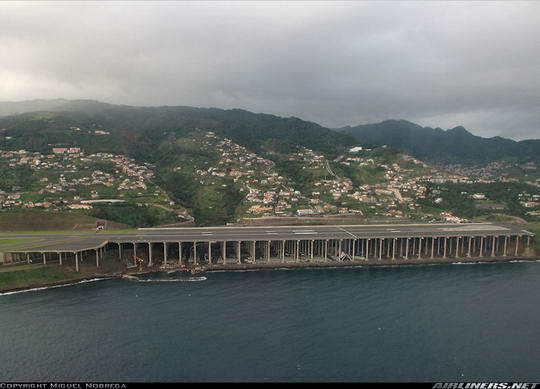 Cause, Funchal has a short runway and its position close to the cliff. In 1980, a Boeing 727 crashed at the end of the runway while landing. As a result, as many as 131 passengers were killed. Because the runway was extended over the ocean with 150 concrete poles to sustain it. Although no longer a short runway, its position adjacent to the mountains and the sea raises another problem, namely the extreme turbulence and bad weather conditions. Conditions that creates problems for pilots, even the most experienced, when taking off or landing. In addition to the short runway, Barra Airport uses the beach as a landing and takeoff. Three runways owned Barra only marked by wooden poles. At night the runway was closed by seawater tide. Because the foundation Barra can only be used on scheduled flights and not for the night. At the airport was only certified pilots are allowed to land or take off. Its position in the area of ​​Saint-Bon-Tarentaise, Alps, France, made it into the category of the most dangerous airports. 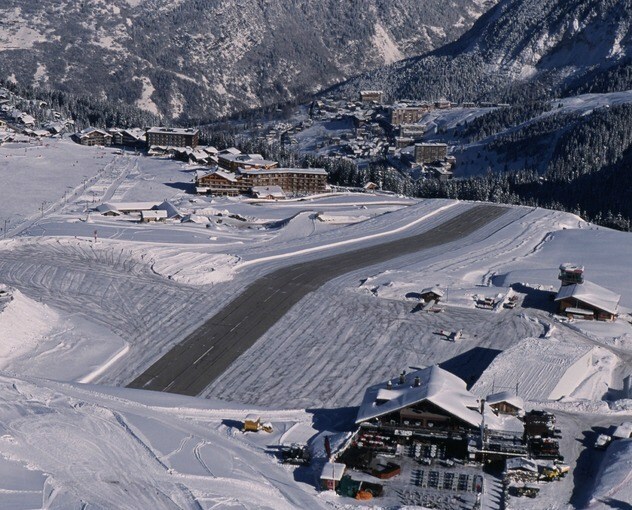 Moreover, Courchevel has the form of a short runway, steep, and a slope of about 18.5 percent. In the film Tomorrow Never Dies, actor Pierce Brosnan ever landing at this airport. But like other pilots, he should do the training and certified before being allowed to land at the airport Courchevel. The runway is located in the north of Kowloon Bay, Kowloon, Hong Kong. Surrounded by mountains, the landing at Kai Tak Airport more difficult because it must pass through a residential area, so the pilot had to perform difficult maneuvers before the plane touches the mainland. 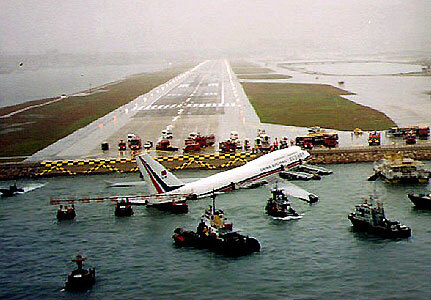 Because of frequent fatal accidents, Kai Tak Airport was finally closed in 1998.